Got a blown head gasket? We are a team of ASE certified mechanics that have created this guide to help you check to see if your car's engine has a head gasket that is blown or at least what you are paying for when having the job done. Head gaskets are made up of thin metal plates together with a hard gasket composite. With constant expanding and contracting due to the engine heat cycle and the acidity of the coolant the gasket can become weak and fail. These gaskets must withstand the extreme pressures of the combustion process and hold radiator coolant which enables the transfer of anti freeze from the engine block to the cylinder head. 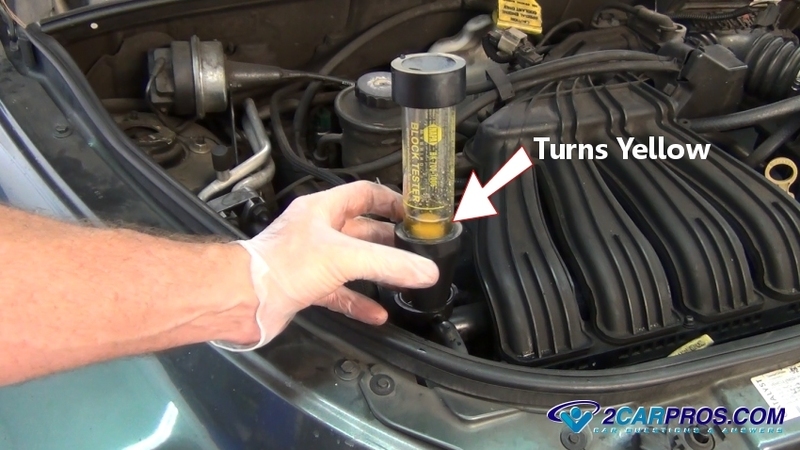 If the coolant is neglected it will turn acidic which eats away at the gaskets throughout the engine and especially the metal parts of the head gasket which seals the cylinder head to the block. When the gasket fails it can do so in five different ways. 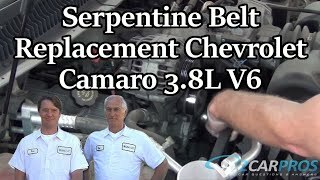 There is one condition motioned here that effects the engine performance solely which is when the gasket lets go between two cylinders which then makes the engine run rough and sometimes creates a continuous backfire through to intake. A head gasket seals the main engine block to the cylinder head using head bolts which are tightened to a specific torque specification. This gasket is meant to be a complete seal with absolutely no leakage. In general checking for a blown head gasket is the same on most cars and the pricing should not vary much. If you want to check the problem for yourself the chemical kit costs about $35.00 bucks which you can get from Amazon or any auto parts store. This should include: Check for coolant in the oil, check for exhaust gases in the radiator and check for coolant in the combustion chamber. If the problem includes and engine misfire then a compression test will need to be preformed which might cost a bit more. A head gasket can let go at anytime but will typically last between 110,000 and 160,000 miles depending on the engine condition, driving habits and engine maintenance schedules. 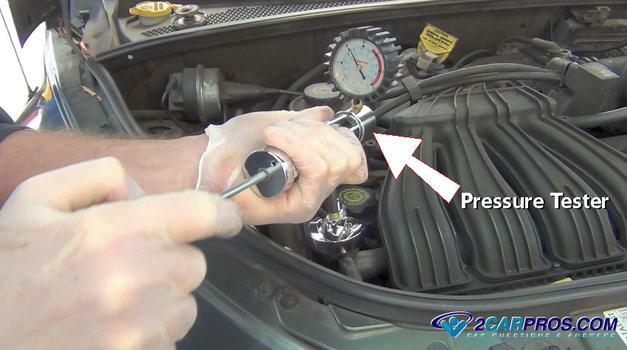 The most common problem you will notice when this gasket fails is the engine overheating. Below is a video to help troubleshoot and determine which problem if any you may have. Once the video has concluded please read through the article to pick up on additional tips and information the video may have missed. I hope you enjoyed that video we are creating a full guide of automotive repair guides so please check our 2CarPros YouTube channel often for new additions. Begin with the vehicle parked on level ground, engine cold, with the parking brake set. 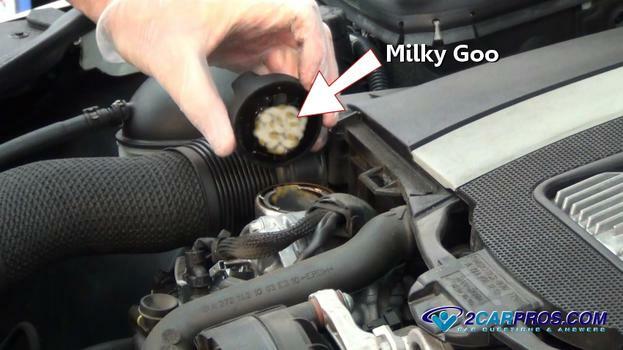 With the engine cold remove the oil filler cap to inspect for brown milky goo that has collected on the bottom of the cap. This is an indication that coolant is leaking into the oil. 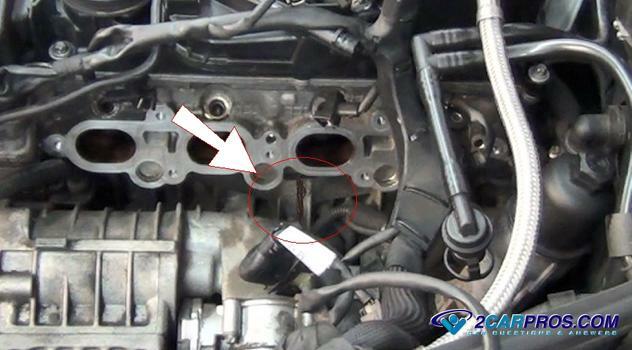 This leakage could be generated by a cracked cylinder head, block or a leaking intake manifold (in some cases) the intake gasket is also prone to this kind of failure. Note: A small amount of moisture maybe present inside an engine that doesn't get used much which is normal. Head gaskets are designed to control engine coolant in and around the engine block and cylinder head. When the gasket fails it can cause a leak which can be found by removing all of the spark plugs (continued below). Once all spark plugs have been removed pressurize the cooling system and crank the engine over while observing the spark plug holes. If coolant is present at any one of the holes the head gasket is blown. Its a good idea to disable the ignition or fuel system fuse before testing to avoid fire (rare). If the engine is warm it can leave residual pressure in system which can aid the test without using the pressure tester. With the spark plug reinstalled wait until the engine is cool and then remove the radiator cap. 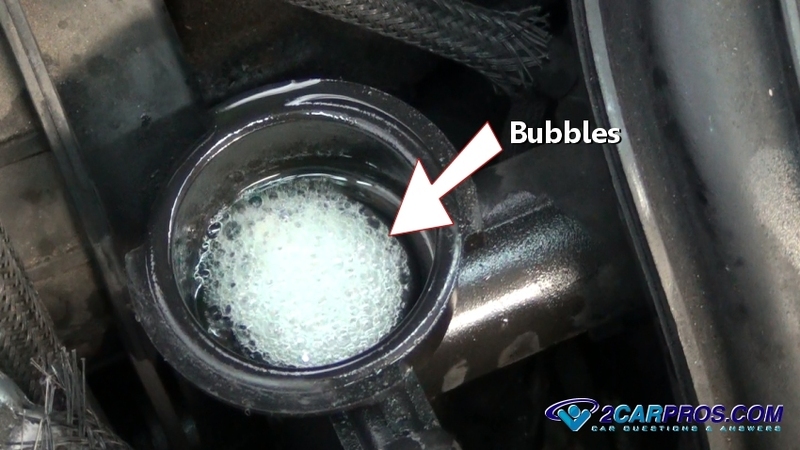 If the head gasket has failed and is allowing combustion gases into the cooling system they can be detected by removing the radiator cap and observing the liquid while checking for a continuous stream of bubbles while the engine is running. Here is a video to help you determine if you can remove the cap safely. This is what it will look like if the head gasket is leaking combustion gages inside the radiator and cooling system. This will make the engine overheat. 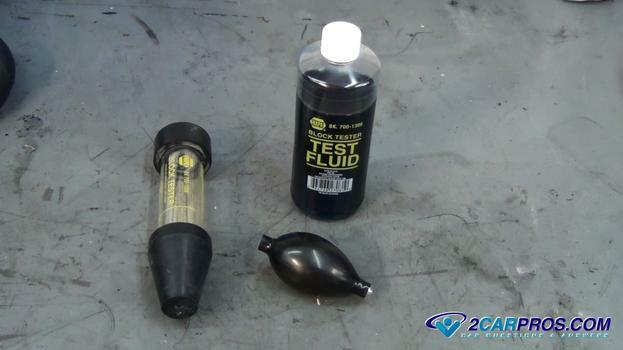 To confirm exhaust gases inside the cooling system (gasket failure, cracked head or block) use a chemical tester which you can get from Amazon or the local parts store. 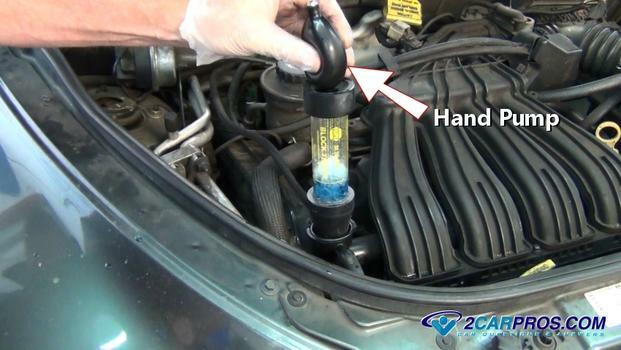 Drain a small amount of coolant from the radiator as to not contaminate the test. 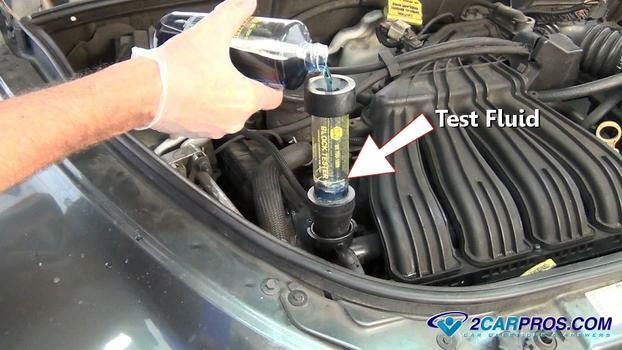 Once the coolant has been drained down slightly insert the test tube and add the test fluid and fill to the full line. Start the engine. While using the hand pump draw air inside the radiator into the tester. If the test fluid turns yellow exhaust gases are present and the head gasket is blown. If the fluid remains blue the system is most likely okay. This test can rarely fail and cause a false negative because the combustion process is not 100% efficient. Small consistent pockets of fuel enriched air (not exhaust) exist inside the combustion chamber after ignition which is not detected by this test. A head gasket can fail between cylinders causing two consistent cylinder misfires and low compression in each misfiring cylinder. 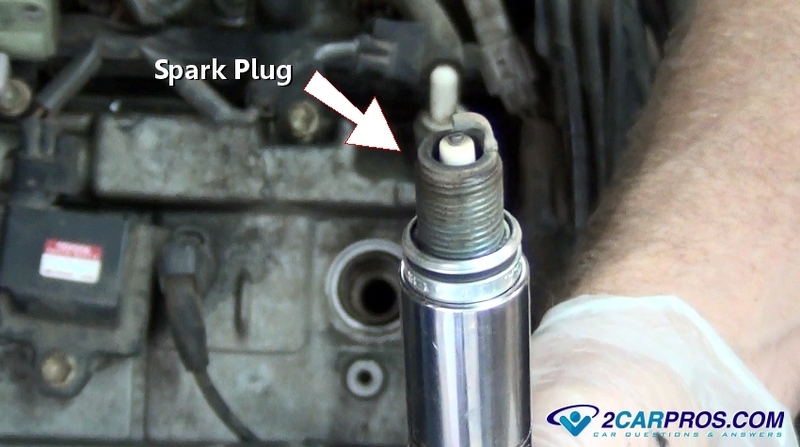 To check for this condition remove all of the spark plugs while conducting a compression test to test each cylinder. If two readings are consistently low in neighboring cylinders this is an indication of failure between these cylinders and the head gasket needs to be replaced. 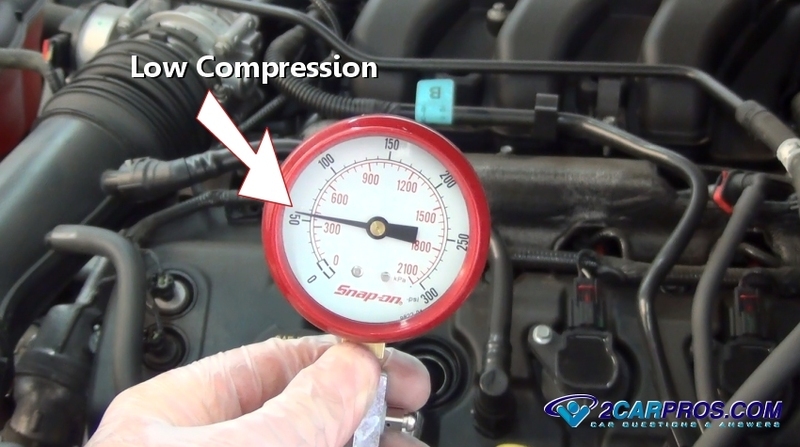 Here is a video on how to do a compression test. Some engines are designed with oil pressure passing though the engine block and into the cylinder head along with engine coolant (each in separate ports) via the head gasket. When the gasket fails it can cause an engine oil or coolant leak which is detectable by inspection. If you have any questions about head gaskets please visit our forum. If you need car repair advice please ask our community of mechanics is happy to help and always 100% free. 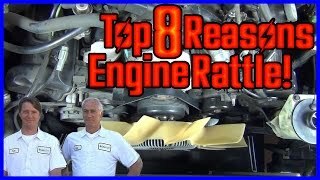 Top 8 Reasons for an ANNOYING Engine Rattle!